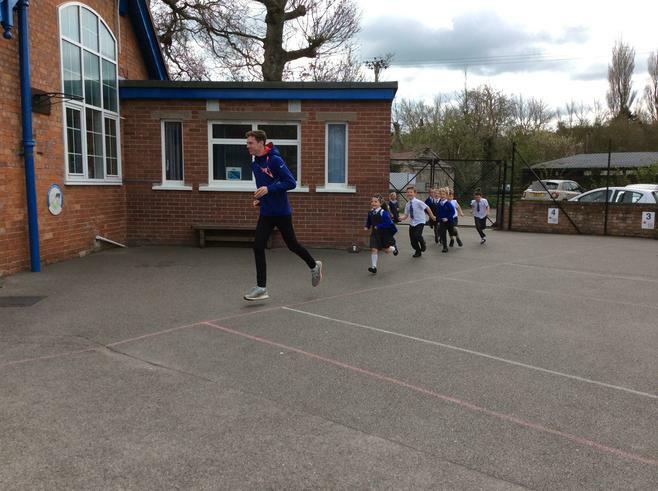 Ex-pupil, Oliver Fox, has just returned from competing for Team GB in the World Cross-Country Championships in Denmark. 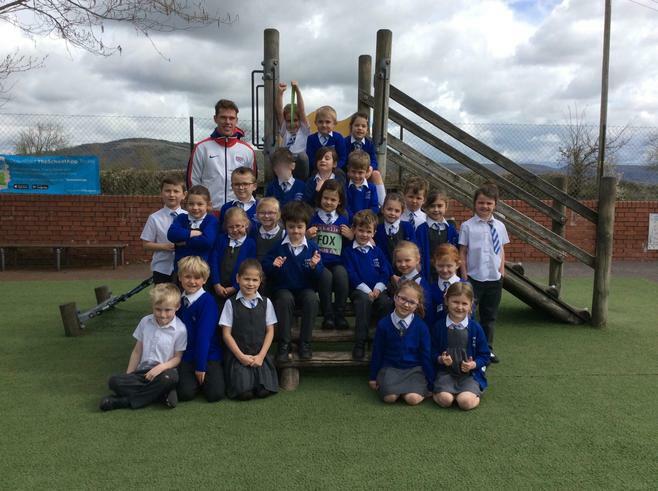 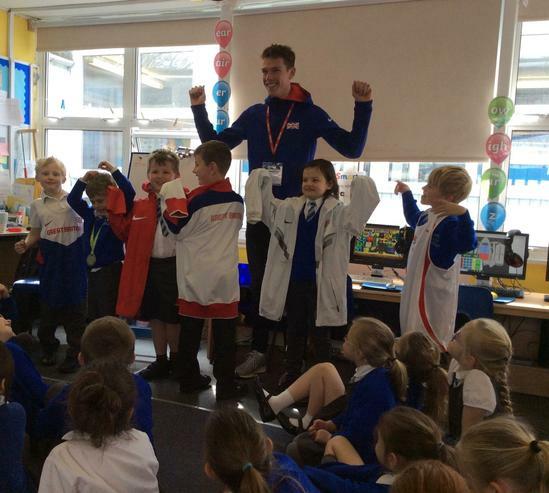 The children tried on his GB kit and looked at some of his medals before heading outside to warm-up for their Daily Mile. 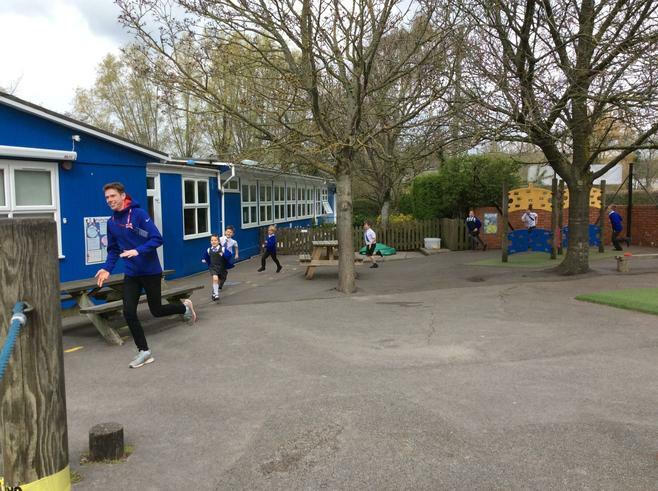 Oliver ran with the children, encouraging them with their technique as well as teaching them how to keep running, even when they felt tired! 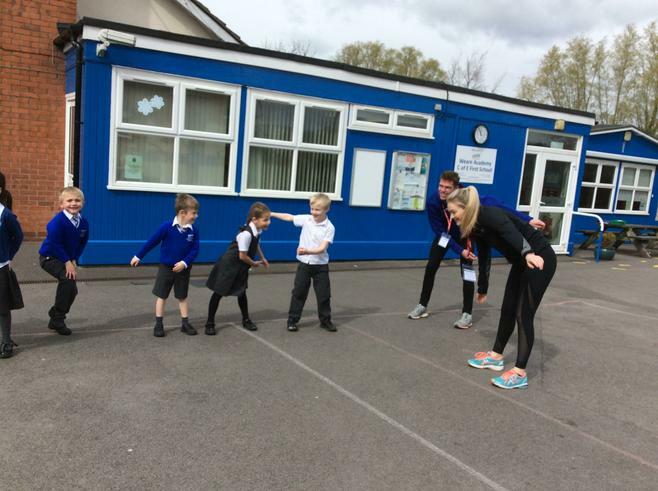 Oliver was very impressed with the children's running as well as the whole concept of the Daily Mile and its role in developing exercise and fitness as part of a healthy lifestyle.